Some of my fondest memories are of hot donuts from the vans at various markets and sports events. 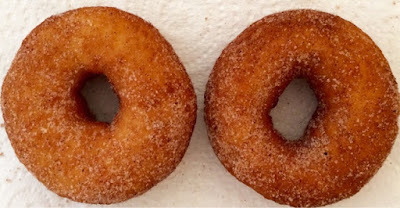 Cinnamon doughnuts are my favourite followed closely by hot jam doughnuts. Definitely an indulgence and not something that I make very often. In recent years it was only ever with students at school. This is the recipe that I used with students. 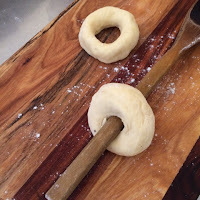 Make balls of dough and insert a wooden spoon into the middle and then stretch the dough into a nice doughnut shape. Drain on paper towel and roll in sugar or cinnamon sugar. 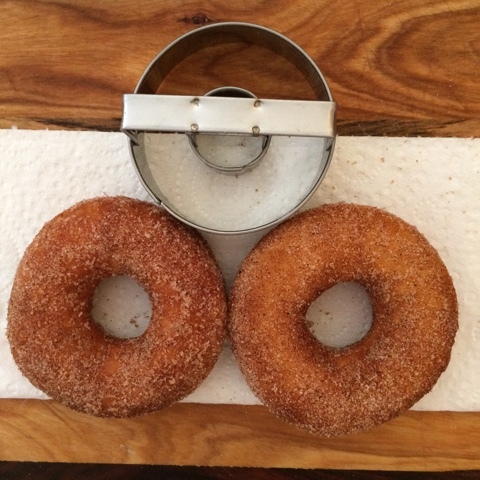 This purchased doughnut cutter is inexpensive and produces even sized doughnuts. Combine flour, yeast, sugar, and salt in a large bowl. Turn the dough out onto a lightly floured board or bench top and knead lightly until dough is smooth and elastic. 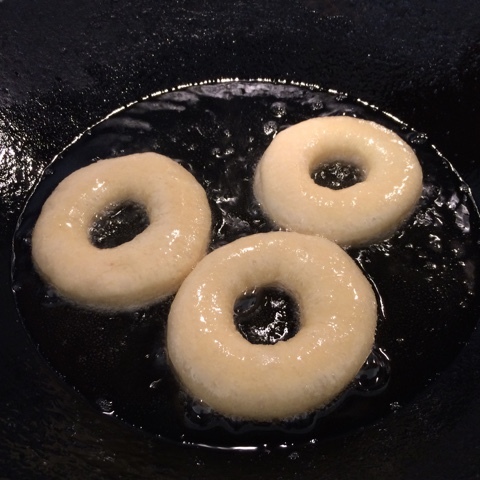 Return dough to a clean and lightly oiled bowl. Turn dough out onto board or bench and lightly knead. Push a wooden spoon through the middle of each doughnut and then gently stretch to form the ring. 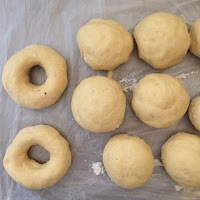 Roll dough out to 1- 1.5 cm thickness and stamp out doughnuts. 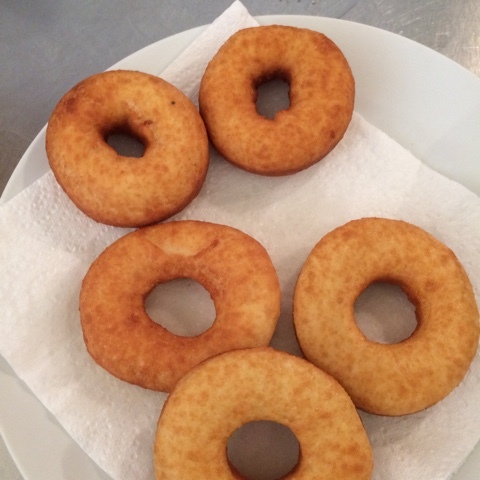 Re roll the centres and scraps and cut more doughnuts. 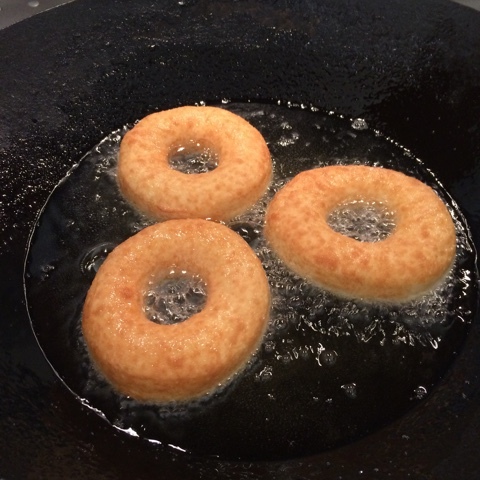 Cook 3 -4 the doughnuts at a time until golden brown on each side. This will take approximately 2 mins or a little longer.